Four students from INTI’s Bachelor of Business (International Hotel and Resort Management) programme, which is offered in collaboration with the Blue Mountains International Hotel Management School, Australia, conducted a market research for the employer, Resorts World Genting. Resorts World Genting is dubbed the “City of Entertainment”, situated 6,000 feet above sea level. With its many hotels, theme parks and international attractions, the research conducted by the students would be able to introduce new ideas and strategies to identify market preference and in doing so, open up new untapped customer segments for the employer. The project gave the students the ability to think beyond their lecture room, opened their eyes to real-world issues and ideas that can be adapted to suit the needs of the employer. Through this project entitled “An Innovative Consumer Research and Insights: The Millennials Mind of the Techno Hotel of the Future”, the students were required to come up with a business plan that analysed market trends to help Resorts World Genting to reach out to younger consumers and new market segments. They had to suggest features and services that were current, in-trend and appealed to the younger generation over a period of three months. In order to deliver on this, the students had to conduct market research and online surveys to discover market preference, identify the correct strategies and adapt it to suit the needs of the employer. The market research aspect of the project saw the students doing in-depth exploration onsite as well as online to understand the needs of consumers. This allowed them to design research questions that were specific and clearly addressed the need to understand market perceptions, requirements and help the employer gain a competitive advantage. They learnt to work with people from different work levels to gain inputs via market research and feasibility studies. Based on the results achieved and recognising that current trends were focused on the green movement, they leveraged on sustainable environmental technology to introduce green-based designs. To ensure they were on the right track, they presented their preliminary ideas to the employer. With the feedback received, they went ahead and developed a more thorough presentation of their ideas with the help of their lecturers. On the whole, the students learnt the importance of integrating the needs of the market with that of the employer as this would ensure the sustainability and relevance of Resorts World Genting in the future. The students received repeated praise as the employer was impressed with the students’ keen ability to understand the needs of the industry and millennials, adapting them to meet the requirements of the hotel. Overall, the project enabled them to think creatively, bridging the expectation gaps, between skills learnt at INTI and the industry, thus bringing forth changes that will shape the future of the industry. In this aspect, the experience gave them the upper hand in increasing their competitive advantage and employability in the future. 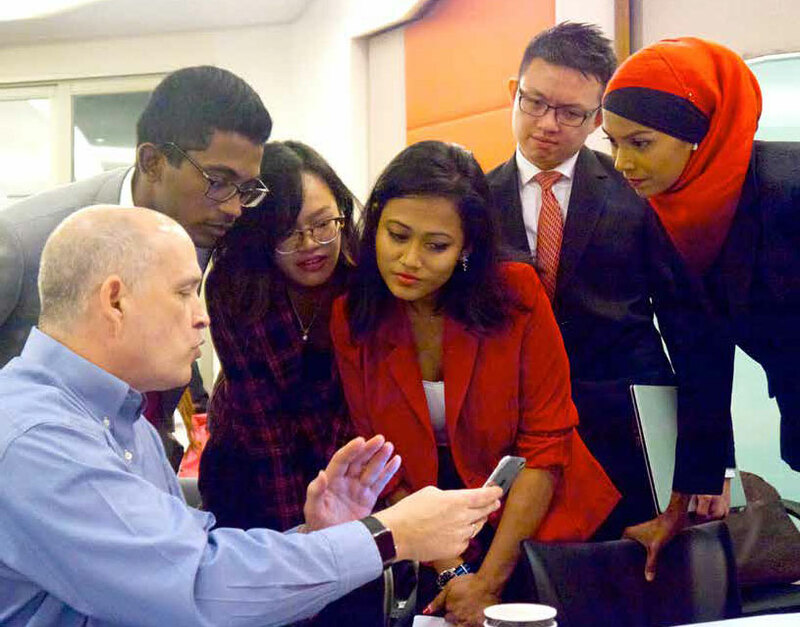 An employer project with Hyatt Regency Kota Kinabalu saw six students from INTI’s Diploma in Hotel Management programme come together to develop solutions to enhance the hotel’s seven key touchpoints. Hyatt Regency is one of the more established hotels, located in the heart of Kota Kinabalu’s business, shopping and entertainment district and well-known for its five-star Sabahan hospitality. The nature of the project allowed students to think about the future of the hotel industry and how they could create a more memorable experience for visitors to the hotel. At the end of the four-month programme, the creative and highly-motivated students gained in-depth experience in project management skills, a key aspect in the hospitality industry. The employer, Hyatt Regency Kinabalu Associates tasked the six students from INTI Sabah to strategise the best methods to introduce improvements at seven customer touchpoints throughout the hotel. These improvements were important as they would help improve customer experience and increase the hotel’s reputation. Within a time span of four months, they were required to go through the hotel thoroughly, identify the key touchpoints and come up with various ways to improve on them. The project required students to do a lot of onsite research, analyse customer holiday needs as well as introduce new avenues to increase Hyatt Regency’s competitive advantage, as Kota Kinabalu is a major tourist destination and there are many international hotels present. Throughout the project, the students analysed these key touchpoints as well as the overall hotel in order to obtain a better understanding of the hotel. To gain advantage clearer perspective, the students learnt the systems and facilities currently used and proposed better ones to be instituted. With inputs received from both the employer and even their lecturers, the students were able to introduce effective and efficient ideas that could help customers better experience the Hyatt Regency. The six students also learnt various components to help customers have a comfortable stay while at the same time, ensured that costs did not increase substantially. They also had to look into customer and industry expectations as well as future trends. The students also went the extra mile to emphasise the role of employees in realising this vision as they took time to highlight ideas that would help in increasing employee satisfaction. The students gained industry-based skills that gave them a better appreciation for ther future work life and the wide range of careers offered within the hospitality industry. The ideas presented resulted in positive feedback from the employers, demonstrating that they had gained exposure to the hospitality industry. The employers were pleased with the detailed and concise solutions provided, with some of them to be implemented in the near future. The students were able to gain industry experience, working with a wide range of people, making positive connections that were crucial in the industry and showed resourcefulness in finding the right solutions. This degree programme gives students a broad business-focused education and training in all key aspects of hotel and resort management. The Certificate in Hotel Operations programme has been designed in collaboration with the industry to provide key operational skills and competencies in the hospitality industry. Diploma in Culinary Arts is a highly specialised programme designed to develop and nurture leaders in the culinary arts profession. This Diploma in Hotel Management programme prepares students for employment at a supervisory level, or progression into the degree. This Diploma in Hotel Management (Work-based Learning) programme embraces both the Swiss Philosophy of Hospitality Education and the internationally recognised best practices in its approach to Work-based Learning (WBL).